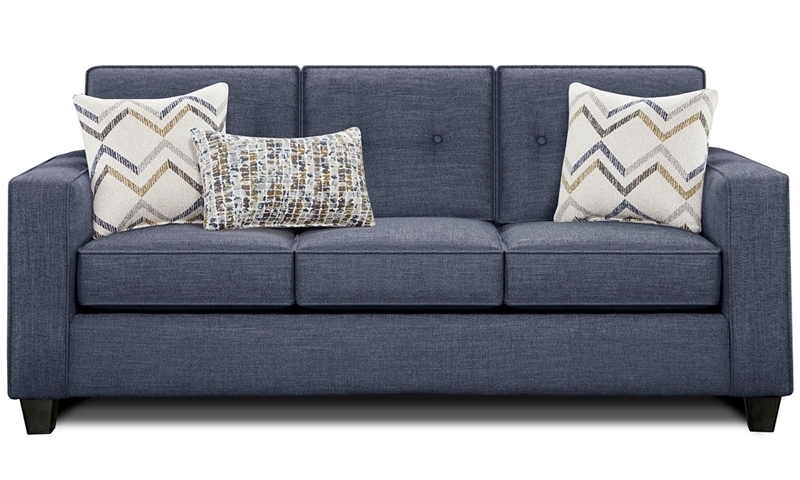 Meticulously tailored in trendy slate blue upholstery, the Sensation sofa will make the perfect addition to your living room. 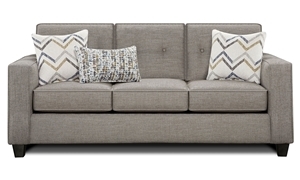 This American-made sofa features a handcrafted hardwood frame and sinuous steel seat springs for lasting support. Thick track arms and tapered dark wood feet create a simple silhouette, further accentuated by self-welted box cushions and hand-tufted details. Three included accent pillows showcase patterned fabric on one side, lending a pleasing pop of color to this family room-ready navy sofa.